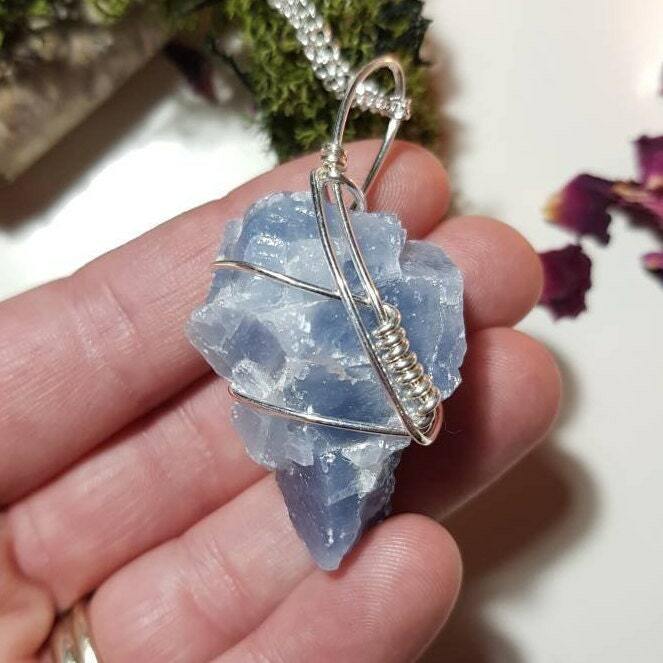 Silver plated wire wrapped blue calcite cluster pendant. Calming Blue Calcite soothes frayed nerves and lessens anxieties. 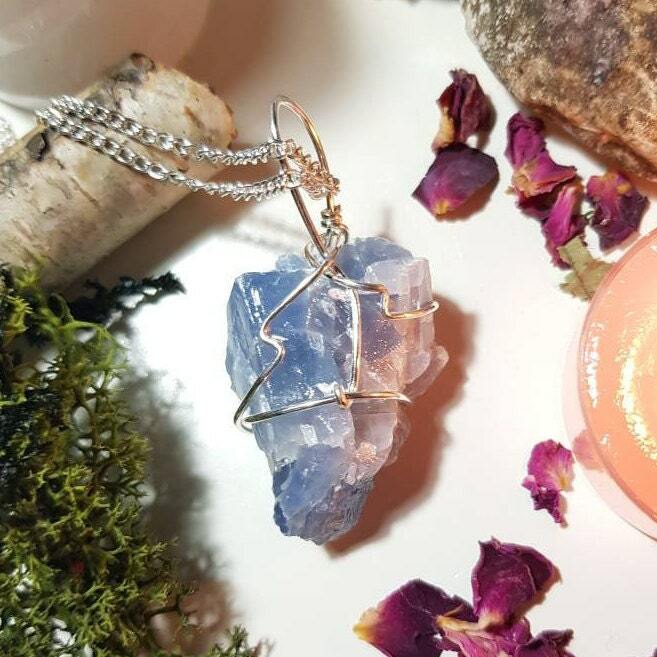 A good stone to use when recuperating, Blue Calcite facilitates physical healing by clearing negative emotions and encouraging rest and relaxation. 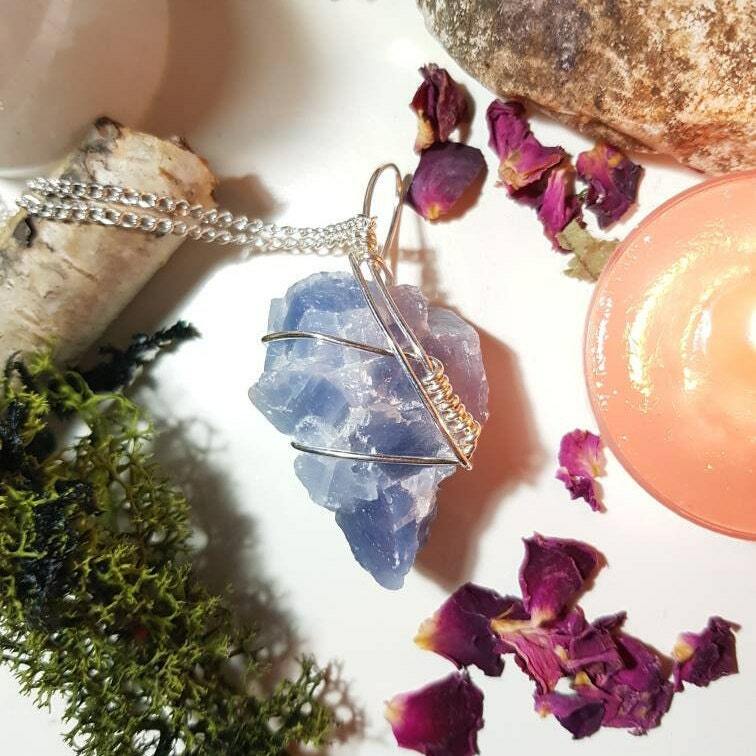 Working with the Third Eye Chakra, Blue Calcite can enhance or activate the intuition and inner sight. Wire, Chain and findings are silver plated. Necklace measures approx. 50cm and pendant measures approx. 5.7cm x 2.9cm.